Mandi! You keep talking about these Pantone colors – WTF are they? Someone of you might be thinking right now if you don’t live on blogs or Pinterest…Basically every year Pantone, the world’s authority on all things color (I am not making this up), picks a color of the year in early December to usher in the next year. 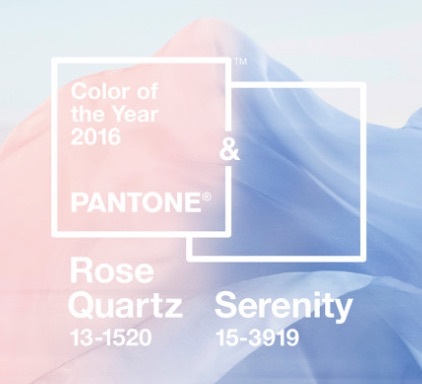 This year Pantone picked two colors – Rose Quartz and Serenity Blue. These colors inspire EVERYTHING for the next year from what one might wear to home decor. You can find Pinterest board after Pinterest board of Rose Quartz and Serenity Blue. So why am I rehashing this? Because they are the perfect colors for spring. Take a look for yourself! You’ve basically have light pink and blue (blue has a bit more range). But what better way to usher in spring than incorporating pops of these two colors into your wardrobe? I’m going to outline two looks incorporating Rose Quartz and Serenity Blue. After that I’ve got my top picks in each color for you! First up…last week’s look!! I know…This is from last week’s post on the greatest spring jacket! BUT the top is Rose Quartz, and yes, I did that on purpose. 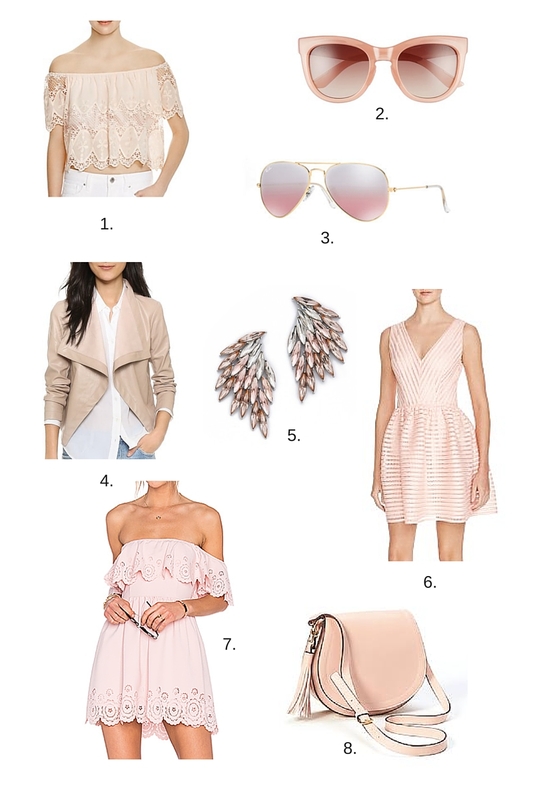 Please revisit the post for a breakdown on the whole look and a bunch of wonderful spring jackets for our variable weather. You can find the post again here. 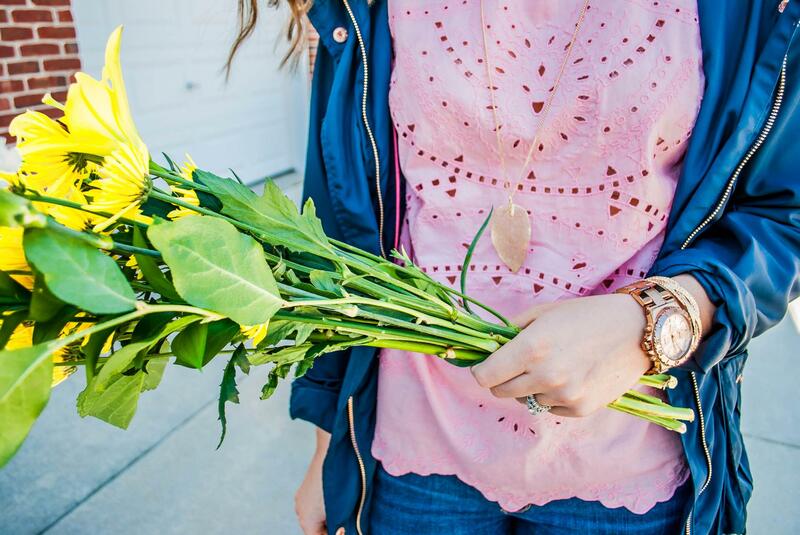 If you just want to snag this Rose Quartz top right away – it’s here and on sale!! Also, the watch is one of my faves, being rose gold, I feel as though it can qualify as well – here it is! All right, on to the Serenity Blue look! I’m not going to lie…I’m kinda obsessed with this dress. I know I know, I’m complimenting my own purchase, but I LOVE IT (insert monkey covering his eyes emoji)! It’s so comfortable, cute and casual. Not to mention, it’s super soft. Sometimes I feel like chambray is almost stiff and too denim-like; that’s not the care with dress. It’s beyond soft! So those are just ways I enjoyed styling the Pantone colors of the year. 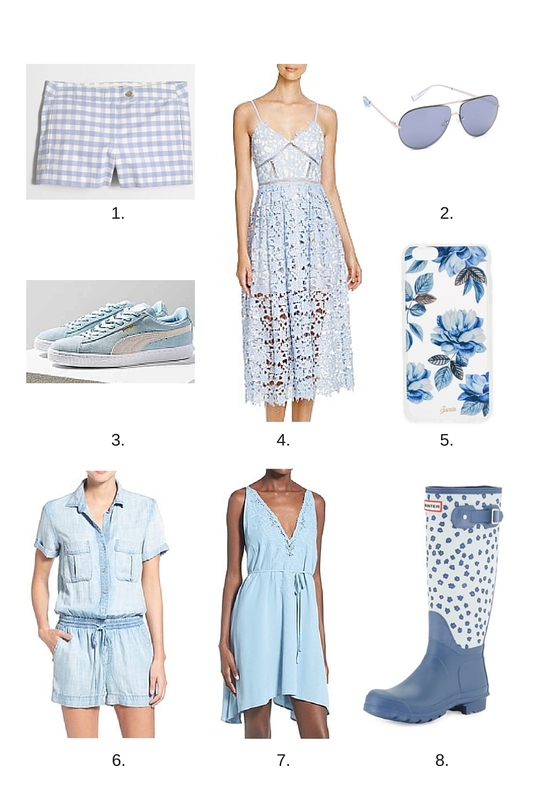 Now I’m going to share some of my top picks for each color starting with Serenity Blue! There you have it!!! A few of my absolute fave wish list picks for Serenity Blue & Rose Quartz! 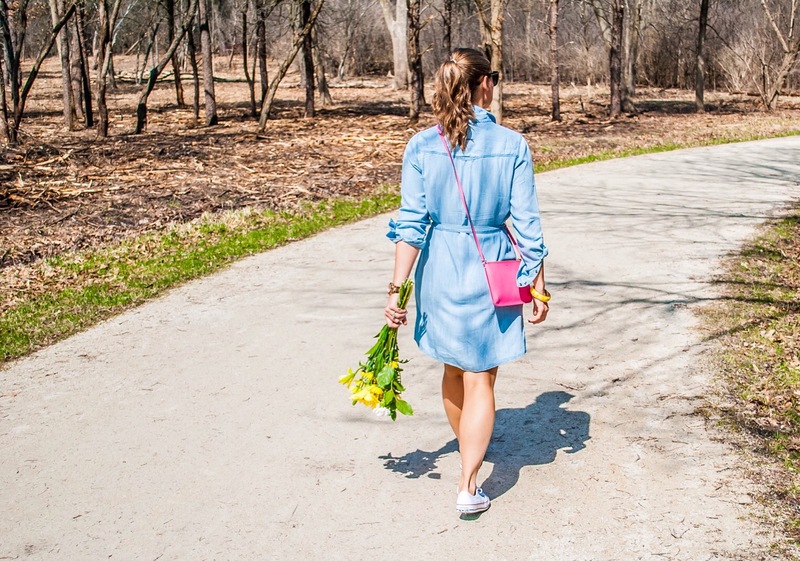 I hope you have as much fun styling your spring looks with the 2016 Pantone Colors of the Year as I had! Happy Shopping!